Egypt will be at their third World Cup finals in 2018 – and their first since 1990. The Egyptian Football Association announced the national team will play two friendly fixtures against Portugal and Bulgaria, as preparation continues for the 2018 World Cup in Russia. “We will play the first friendly match against Portugal on 23 March then Bulgaria on 27 March,” Egypt’s national team director Ihab Leheta announced. Both matches will be played in Zurich. Egypt have been drawn in group A at next year’s World Cup alongside hosts Russia, Uruguay, and Saudi Arabia. “Fifa sent us a formal letter today with approval to take Grozny as a world cup base,” Lehata added. 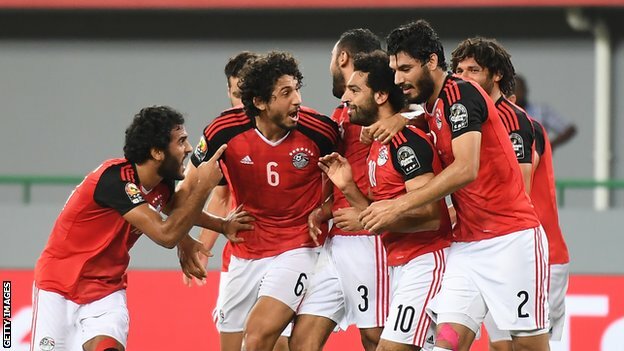 Egypt will kick off their World Cup campaign against Uruguay on 15 June in Yekaterinburg before facing hosts Russia in Saint Petersburg on 19 June and then Saudi Arabia in Volgograd on 25 June in their final group game. The Pharaohs qualified for Russia 2018 in October after Mohamed Salah hit a last-minute penalty in their 2-1 win over Congo Brazzaville. It sent Egypt to their third World Cup finals and their first since 1990.